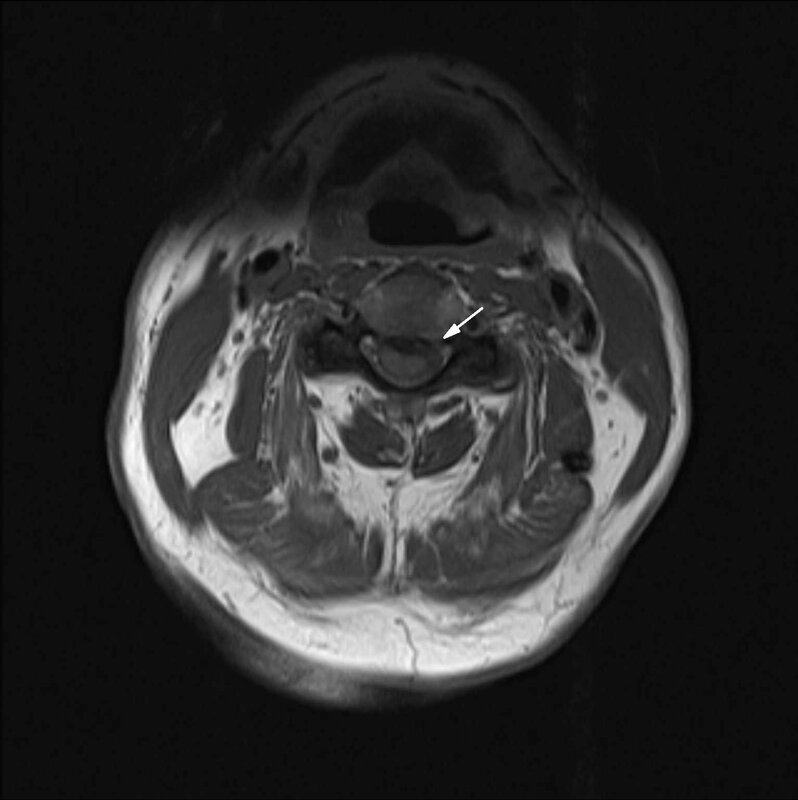 This pathway provides guidance on the imaging of adult patients with suspected acute spinal cord compression. 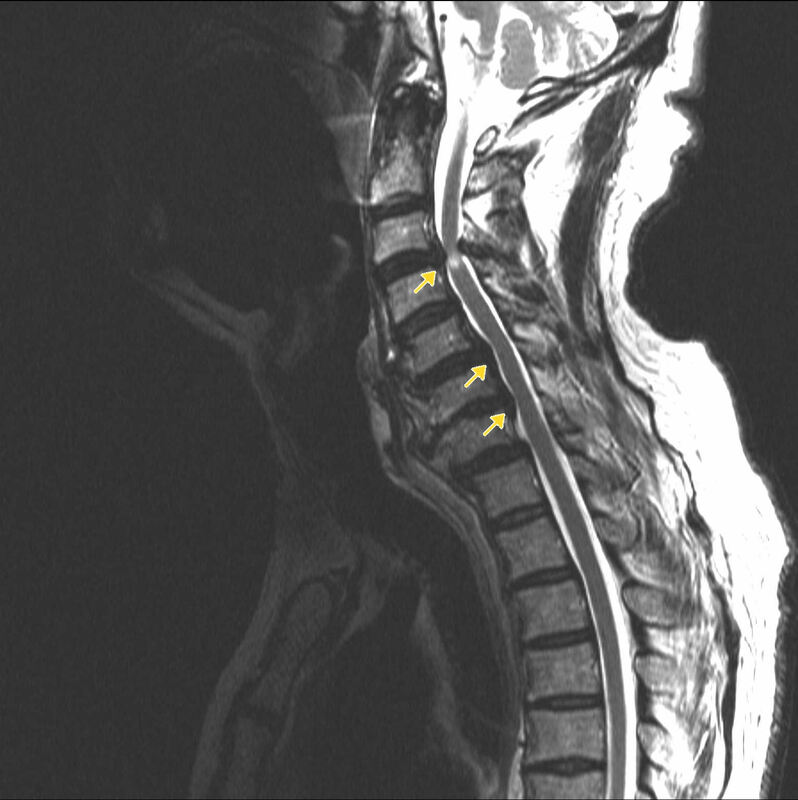 Image 1a and 1b (Magnetic Resonance Imaging): Severe spinal stenosis at C3/4 with complete effacement of the CSF space around the cord (arrow). There is high signal within the cord distal to the stenosis which may reflect cord oedema. Mild spinal stenosis at C5/6 and C6/7 (arrows) are also present.